What Is The Deal With Theremins? The year is 1957, and, as tensions of the Cold War are ever increasing with no end in sight, humanity has its eyes on the one place neither power has even traveled: space. The Soviets, ever fearful of the United States launching into orbit, rushed through their plans to launch a 3,000 pound satellite equipped with various scientific instruments. They ended up downsizing dramatically to a 184 pound payload with a 58 centimeter diameter without any instruments. On October 4th of that year it was launched on a R-7 rocket with four stages. It nearly suffered a catastrophic launch failure, but the a combination of engine thrust and wing movement saved it last second. Well what did it do? It beeped. And that beep was the beep heard all around the world. Well at least for 22 days… its batteries actually exceeded the expectation of 14 days. For the first time in all of human history something was able to orbit the earth. It wasn’t the first man-made object in space, but it was the first which was in continual free fall around the earth. 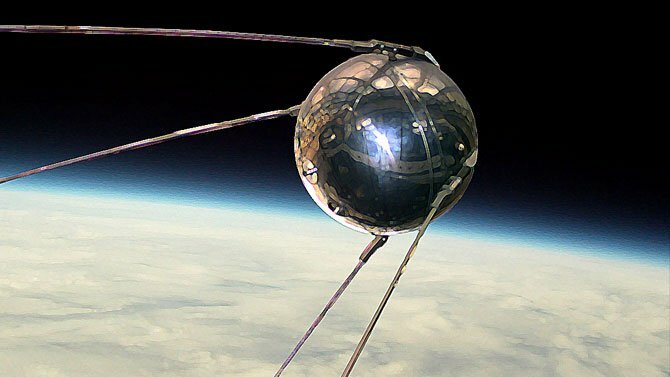 So, yes, the Soviets to prove themselves put a beeping piece of metal into orbit because that is all they needed to do to stir so much amazement and fear. The device whose name directly translates to “travelling companion”, would be the spark which set the both countries ablaze and straight into the most heated technological race in all of human history. It is now April 12th, 1961. Multiple years have passed since Sputnik, but no shortage of tests and animals had been launched into space, including the famous cosmonaut dog Laika on Sputnik 2. Now it was time to push the barrier forward onto man's reach into space. 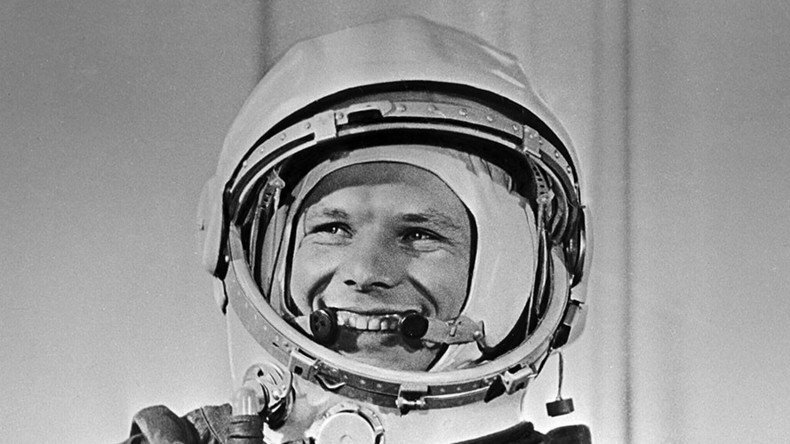 Enter Yuri Alexeyevich Gagarin. A 27 year old Senior Lieutenant Gagarin was chosen out of over 200 Russian Air Force fighter pilots by peers and project heads due to his exceptionally quick thinking and attention to detail. At 9:07 A.M. Vostok 1 took off carrying Gagarin on board. Due to the feared consequences of free fall, the Russian mission control was totally in control of the craft the entire time. Yuri was the first human ever in space, a true high water mark achieved by humanity. His trip lasted one obit, a total of 108 minutes. While the United States press showed fear of losing the space race, he was seen in many places as a hero for humanity, going on a global world tour to be paraded around countries including England, Canada, and, of course, across the USSR. This stance of him being a pioneer, regardless of national affiliation, is what PBSB was aiming for in their upbeat track. Looking back now it is easy to say he was a true pioneer for all of humanity and his efforts will forever go down in history as that of a hero. The date is now September 12th 1962. 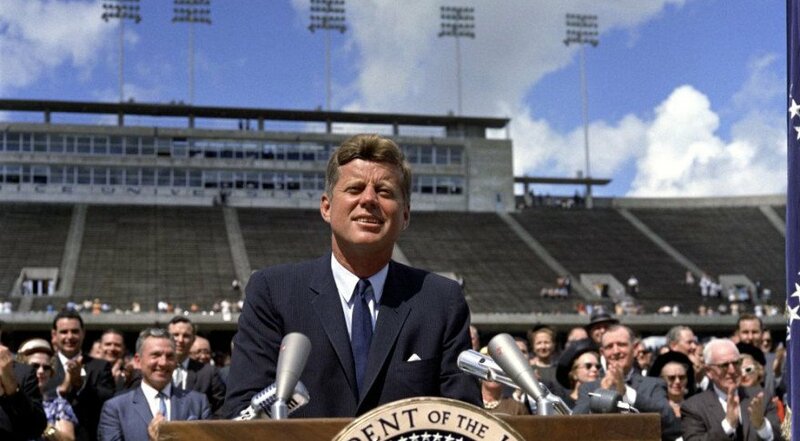 President Kennedy is making a speech to 40,000 people in Rice Stadium. At this point, the United States is far behind in the space race launching the first American, John Glenn, nearly a year after Gagarin. Kennedy knew he needed to rouse the American spirit, and, in effect, his speech became a defining speech in American history. A link to the full speech can be found here: https://er.jsc.nasa.gov/seh/ricetalk.html. Perhaps one of the most ambitious technological proposals made by a president, Kennedy promised that by the end of the decade America would put a man on the moon. Keep in mind no spacewalks had been taken, lunar modules had been made, no docking sequences had even been practiced, and here was the nation’s leader saying we could make it in 8 years or less. The National Defense Education Act had been passed due to Sputnik and had been in effect since October 4th 1957. Now its efforts of acting as a booster for the mathematics and science related fields was beginning to see results. Young engineers and scientists began coming out of Universities in order to rapidly increase the nation’s technological investments to bound ahead. This key moment not only left the nation space crazed, but made getting to space a budgeted objective at the front of the nation's interest. This vow and critical commitment is what would pave the way for the American Space program to come, as now Americans all over had their eyes on the skies. Fast forward to June 16th, 1963, Vostok 6 is launched. It is the last in the man orbital missions launched by the USSR starting with Gagarin. Well what made this so different? This time the passenger was Valentina Tereshkova. 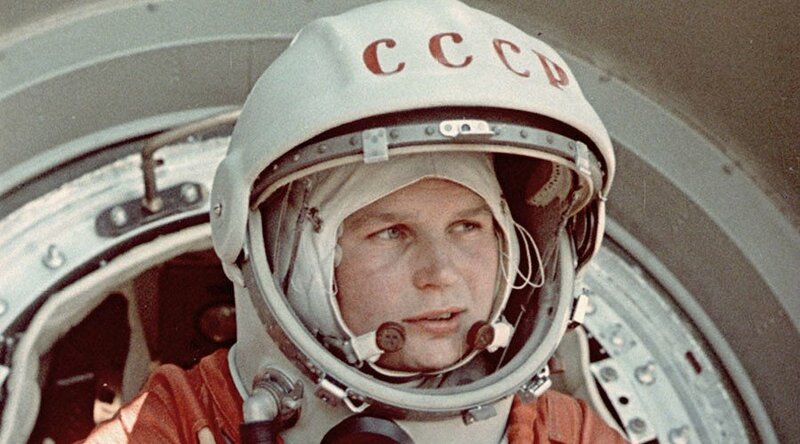 Yes, the first woman in space. Her mission lasted 3 days and she kept two way radio communications with Voltok 5 which was orbiting with her. In this time she made 48 orbits, which was quite a large feat at the time. Her personal background was that of an avid skydiver and textile factory worker making her the first civilian in space as well. The space suit she wore was the MK-2 which was very similar to the MK-1 that Gagarin wore. These suits were only meant to be pressurized in an emergency, such as if the cabin was punctured. It would take a better space suit in order to do an EVA which is the coming up milestone. Up until this point, humans have remained within their pressurized cabin in order to take a safe trip, but now we move onward and upward by finally getting out of the restrictive hull. On the 18th of March 1965, the Voskhod 2 mission was launched. Two cosmonauts were abroad: Pavel I. Belyayev and Alexey A. Leonov. Belyayev was the primary pilot while Leonov was the secondary, but he had a far more important mission. He was to perform the first E.V.A trialing the first space suit with a life support system in the backpack. The flight lasted 26 hours and made 16 orbits. During this time the first spacewalk lasted approximately 20 minutes with Leonov claiming the experience gave him a sense of complete euphoria and tension at the same time. The mission, being reported as a major success, acted as a dramatic blow to the United States government. At the same time, many catastrophic failures occurred while in space, but were never reported on the ground. 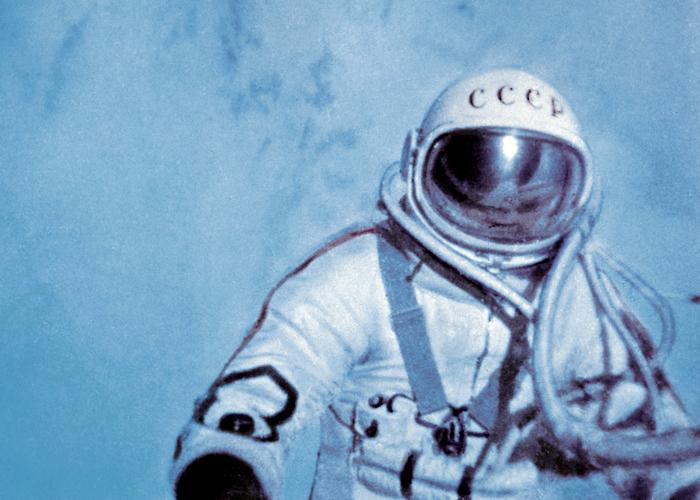 A few moments after Leonov stepped out of the shuttle he realized his suit had inflated to the point he could not get back in. He needed to decompress, and as he let out oxygen he began feeling the initial symptoms of decompression sickness. He began pulling rapidly on the cord thrusting himself in with a moment to spare, but at his current temp he was at risk of heat stroke. His perspiration blocked his view so he had to maneuver around the airlock blind. He eventually did it and made it back in to the safety of the shuttle. This was only the start of the problems though. Due to this maneuver the oxygen content of the shuttle soared, meaning any single spark would have it blow up as quick as a flash. They managed to lower the oxygen concentration back to a safe levels. The ultimate test occured when they had to manually re-enter the atmosphere due to engine problems. They were exposed to high G forces along with high temperatures only to land off course in Siberia. They were eventually recovered and hailed as heroes. This was yet another large step to making it to the moon with the United States still lagging behind. And they were soon to have one of their largest hardships to date. On the 27th of January 1967, an event which would live in national infamy occurred. 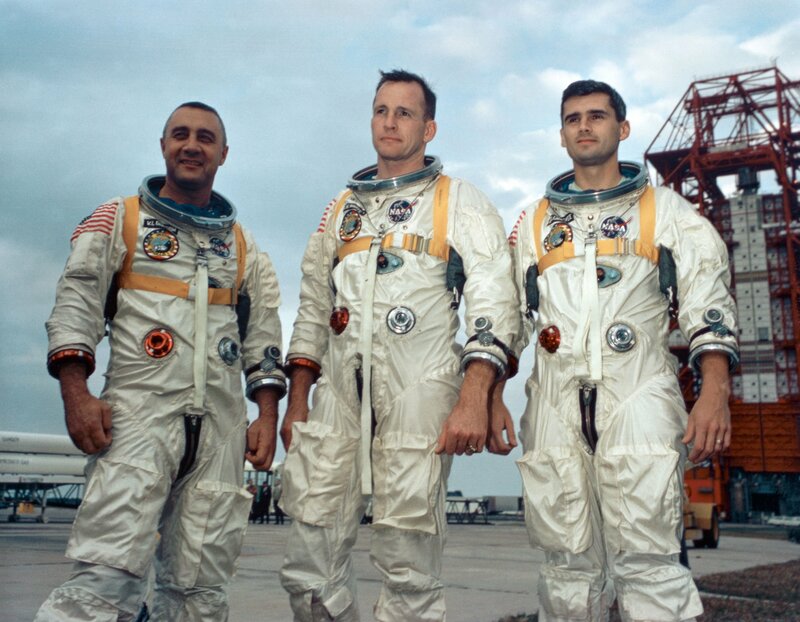 The Apollo 1 space crew, comprised of Virgil Grissom, Edward White, and Roger Chaffee, all entered their command module to undergo a simulation for their up and coming launch. The first problem arose when Grissom complained of a “sour smell” in the spacesuit loop, but decided to continue the test. This was followed by high oxygen flows triggering on and off the alarm. This wasn't resolved as the communications were experiencing problems resulting in the line being only between pilot Grissom and mission control. At 6:31, oxygen levels quickly rose as Chaffee casually says he smells fire, but within two seconds, White proclaims, “Fire in the cockpit.” Escape procedure was supposed to take ninety seconds, but ultimately that time frame was too long. In the highly oxygenated environment, the fire spread too quickly, followed by the command module rupturing forcing black smoke across the landing pad. An eventual investigation found that the fire was started by a faulty bundle of wires located behind their heads. It took firemen three minutes to quell the fire and to open the doors, but it was too late all three perished. It was a day of national remembrance and an overall low in the American Space program up until that point. Their sacrifices were distinguished with the highest regard as the nation mourned and tremendous loss. Apollo 11 is by far the most known aspect of the space race. It is the moment where scholars say the United States sealed their place as the winners of the space race. It inspired kids for years to come to become astronauts. The Apollo 11 mission’s ultimate goal was to land the first man on the moon fulfilling Kennedy's earlier promise and legacy. 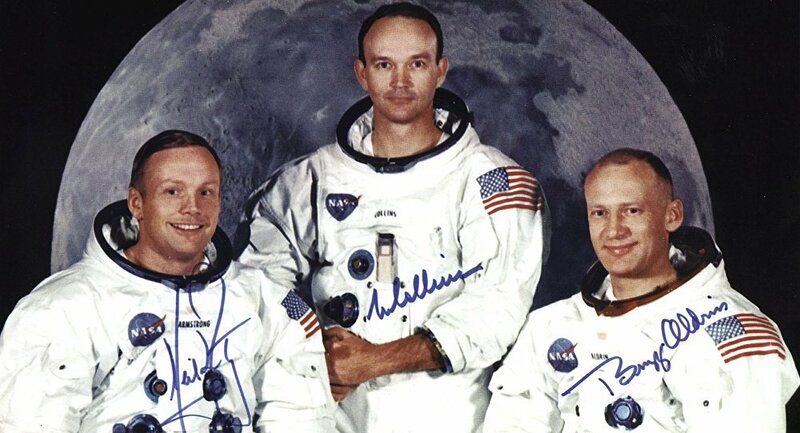 Apollo 11 launched on July 16th, 1969 with astronauts Neil Armstrong, Michael Collins, and Edwin “Buzz” Aldrin. It took 75 hours to reach lunar orbit. This is where the focus of the song is. It includes a systems check as the lander makes it's landing maneuver and lands on the surface. The utter tension at mission control was palpable. This was the most critical part of the mission, and when they landed, from the utter joy heard over the radio, the public knew they had finally done it. Tee descent began at 102:33 with the ultimate touchdown resulting at 102:45. After a period of set up and a postponed rest period, Armstrong made his exit onto the surface at 109:24:19 to utter those famous words. Aldrin soon followed behind with the whole thing being broadcasted to the American Public. This moment, the moment where America gathered around their television screens to watch them be the farthest away from anyone else that any human has ever been, was the height of the space race. They made their return launch starting at 124:22 and plunged back into the Pacific Ocean on July 24th. These pioneers set the standard of human exploration in the space age and acted as role models for new explorers for years to come. The last track of the album is of course the most inspirational. It focuses around Apollo 17, which was the last manned mission to the moon. 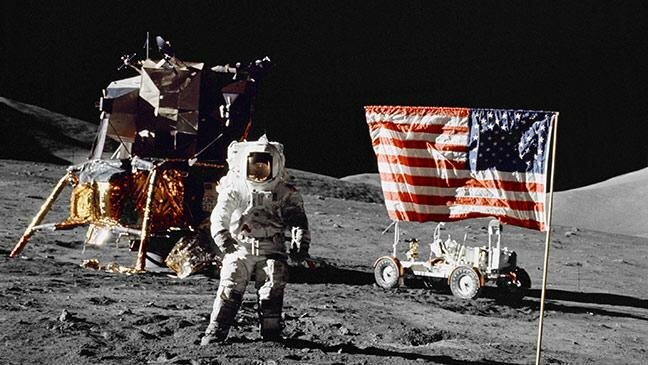 it was launched on December 7th, 1972 with crew members Eugene Cernan, Ronald Evans, and Harrison Schmitt. It's main objectives were to put a Rover on the moon, conduct testing, and take samples such as moon rocks and photographs. In total over 16 hours of EVA were conducted, 30.5 kilometers we're traversed by the rover, and 243 pounds of samples were collected. The mission was a success but extremely bitter sweet being the last mission in the Apollo chapter. It ultimately completed the era of the Space Race. It has much more sentimental value in this aspect, as the track takes the time to reflect on the previous decade and a half of progress and how far the human race has come. 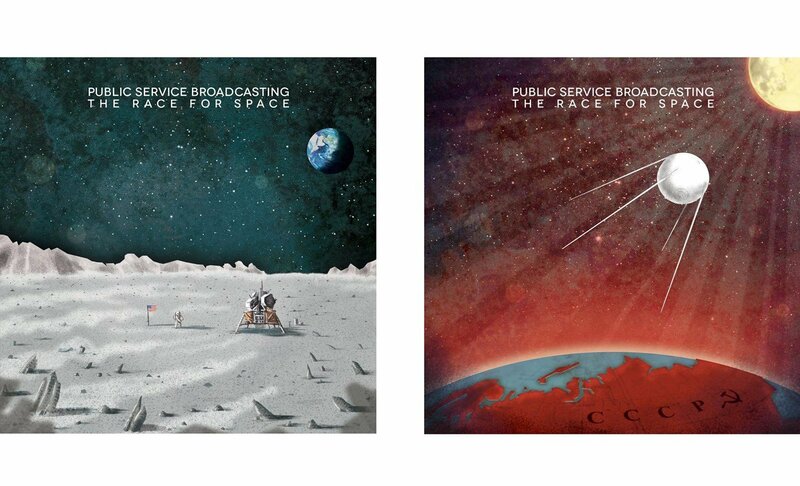 Ultimately the space race was a period of history where nations gathered behind the scientific progress they conducted. Yes, there was always the fear of mutual destruction, but the sense of shared awe at what humanity achieved far overshadows that factor when looking back at history. There are not many periods of history where technology progressed at such breakneck speeds, and may not be for a long time. There is plenty more to read about the period, and I encourage you to do so if this interested you at all. As always it had been a pleasure! This is ThePeculiarParticle, signing out. Esa. “The Flight of Vostok 1.” European Space Agency, European Space Agency, www.esa.int/About_Us/Welcome_to_ESA/ESA_history/50_years_of_humans_in_space/The_flight_of_Vostok_1. “The First Spacewalk.” BBC, BBC, 2014, www.bbc.co.uk/news/special/2014/newsspec_9035/index.html. Larimer, Sarah. “'We Have a Fire in the Cockpit!' The Apollo 1 Disaster 50 Years Later.” The Washington Post, WP Company, 26 Jan. 2017, www.washingtonpost.com/news/speaking-of-science/wp/2017/01/26/50-years-ago-three-astronauts-died-in-the-apollo-1-fire/?noredirect=on&utm_term=.7d4feb08cec3. “National Air and Space Museum.” The Wright Brothers | The Wright Company, airandspace.si.edu/. RFE/RL. “Kennedy's Famous 'Moon' Speech Still Stirs.” RadioFreeEurope/RadioLiberty, RadioFreeEurope/RadioLiberty, 13 Sept. 2012, www.rferl.org/a/kennedy-moon-speech-rice-university-50th-anniversary/24706222.html. “Sputnik Spurs Passage of the National Defense Education Act.” U.S. Senate: Select Committee on Presidential Campaign Activities, 9 Mar. 2018, www.senate.gov/artandhistory/history/minute/Sputnik_Spurs_Passage_of_National_Defense_Education_Act.htm. 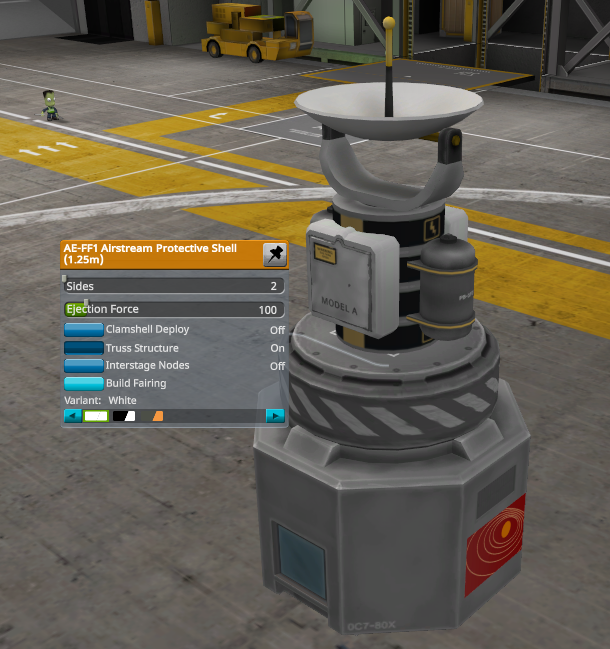 In my previous blog post, I discussed the overall interface you'll be using in Kerbal Space Program. If you don't know what you're doing, I recommend reading that first before continuing on with this post. Before I even start with actual designs of rockets, I'm going to teach you how to build quickly and efficiently. To start, you'll need to place down a part. Keep in mind that the first part you place down is the part you're going to have to build off of. Whenever you pick up this part, you will pick up your entire rocket. Whenever you pick up a part connected to this part, it will pick up every part placed on that part, excluding the first part. Now that you understand that, you're going to need to know how to move around effectively. By holding right-click, you can rotate around a certain point on the center axis of your rocket. By using the scroll wheel, you can move vertically up and down. By holding Shift and using the scroll wheel, you will move closer to and farther from the center axis of your rocket (Alternatively, you could do this by holding down the middle-mouse button and moving your mouse up/down). Now we can get into some design basics. 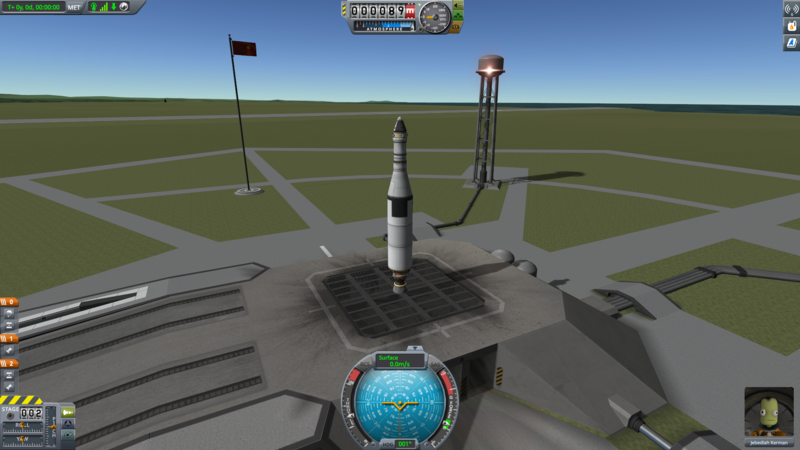 There's a lot of things to take into account when designing a rocket, even in a video game. Always remember to take aerodynamics into account. You can't just launch anything through the atmosphere at well over the speed of sound and expect it to be fine. Take the following, for example. 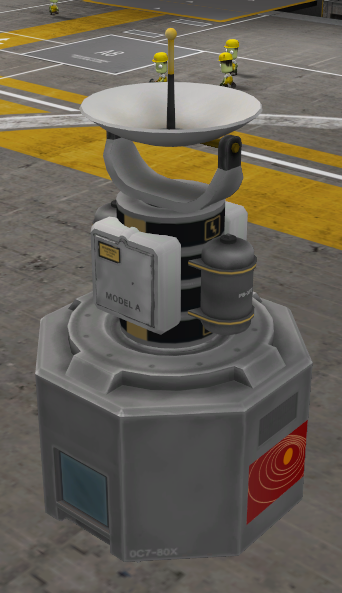 This is a simple landing can with some batteries, retractable solar panels, RCS fuel tanks, and an antenna. If you launched this through the atmosphere, something could very easily break, especially if you used the unprotected versions of the solar panels, or, lord forbid, you extended them. But then how would you get this into space? Well, there's many solutions, such as trying to fit it all inside of a cargo container, or you could make a column of octagonal struts and strap the bits onto that. There is also one other thing in the game you can use, and it's quite stylish. First, you'd have to disconnect the entire top piece from the landing capsule, and place an "Airstream Protective Shell" on top of the capsule. When you first place it, it'll start dragging a frame with your cursor, but just right-click to temporarily remove it. Then, re-place the top piece on top of the Protective Shell part. Here's where things get interesting. Right click on the Protective Shell part, and click "Build Fairing" as shown below, then drag the frame up along your top piece, and click when you want to start to drag it in. You can use the other picture below as reference. This fairing can be ejected as part of a stage when you leave the atmosphere, so the craft on the left will look like the craft on the right. Just be careful with your design for when you do eject it, because it shoots sideways. This rocket will fly. But after a little bit, it will start to flip out of control, and plummet into the ground. But why? If you build a ship like this and deviate from being normal to the ground by even the slightest amount, air resistance kicks in, and your rocket will flip upside-down. So how do you avoid this? Simple: Add some wings. Two could work, but you should add more, just to be safe. Another thing commonly done in KSP is when people add tons of fuel to their spacecraft, and then is surprised when they can barely get into orbit. Keep in mind that adding more fuel does let you burn longer, but also increases the weight of your rocket. Your thrusters will always put out a certain amount of force, and if you just add more fuel to your craft, you might end up with less delta-v than you started out with. We all took Mechanics, so you should know that net force is equal to mass times acceleration, so if mass goes up but force stays constant, acceleration must go down. - Do you need extra power? - Do you need power generation? - Do you need heat reduction? - Do you need a ladder for your Kerbal? - Do you have a heat shield? - Does it look nice? - Is it powerful enough to get you where you need to go? - Does it weigh too much? - Do you have enough parachutes? - Should you add high-altitude parachutes? And, most importantly, something forgotten in the following picture. Yes, there are no wings, and it is hideous, but those aren't the biggest faults with the spacecraft. If you look on the bottom left, it shows the staging. Every time you press the spacebar, you begin the next stage. In this case, the first stage would start the first thruster, but would also trigger the decoupler, disconnecting the main booster from the rest of the rocket. Now look at the final stage. When triggering the last decoupler to expose the heat shield for re-entry, it would also trigger the parachute, rendering it useless, and dooming poor Jebediah to crash into the planet. Even if your design is perfect, one simple mistake in the staging could ruin everything when you least expect it, so always remember to check it before you wreck it. In my next blog post, I'm going to discuss simple flight controls and methods. Physics Followed Me to London! Hey, do you know whose birthday it is? It is the one, the only, Johann Carl Friedrich Gauss! He was born 241years ago today! Since Gauss' Law helps us solve problems with cylindrical, spherical, and planar symmetry, I thought it would only be right to wish him a happy birthday! Thanks Gauss! Humans... How do they work? 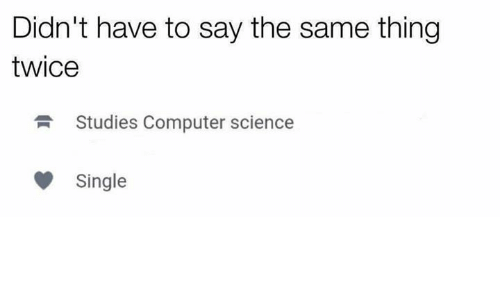 Computers are good at math, right? So it follows that video games should be able to do plenty of physics calculations while you run around shooting zombies and stuff, right? Well, the thing is, they have to do a lot of calculations - and they have to do them really, really fast. Take, for example, some game based on a large map, with somewhere around a hundred players, all trying to shoot each other to death. Handled naively, every time a player shoots, the game would have to continuously test if the bullet is intersecting any player on the whole map at any given point along its path. And even handling one single player isn't easy! It's gotta check if it hit the player's foot, leg, other leg, hip, abdomen, shoulder, arm, other shoulder, other arm, neck, head... And then it gets even more confusing when you suddenly have an impenetrable pan on your back blocking some bullets. Now, check for all of these intersections somewhere between twenty and a hundred and twenty times per second, for every single bullet, for every single player. Basically, it's kinda hard for even fast computers to keep up, while remaining accurate. But that's where humans and their fandangled logic comes in! Now, how could a bullet possibly hit someone, if it's practically in a different time zone from them? Short answer: it can't! (Unless you have teleporting bullets, in which case you should be selling the technology for billions, not shooting people with it). So, take this giant map, and split it up into anywhere from a few to a bunch (so specific, I know) of little bitty squares. Now, as players move around, you've gotta keep track of which square they're in, which takes a bit more work. But now, when you have a bullet (or a few thousand) flying through the air, there's no way it's going to hit someone that's not within either its own zone, or maybe one of the adjacent zones. Now you've gone from checking every player in the game, to between zero and a handful! Much easier! These same sorts of logical assumptions can be made for all sorts of locality-based applications, like virtual lighting (really, do you want to simulate a billion photons shooting around a room? ), more advanced collision detection (we've done point-like bullets hitting round-ish parts of bodies, but what about really complex, non-convex things hitting each other? ), as well as odd things like splitting up a group of points into non-spiky triangles (or tetrahedra). That actually has applications in fluid dynamics, modelling the density of stars in galaxies, and a bunch of other things way over my head. Bicycles... The Greatest Method of Transportation? Many of us know the Aurora Borealis as the 'Northern Lights'. This natural phenomenon is, of course, thanks to the physics of our Earth and its atmosphere! The Aurora Borealis is an extremely beautiful event that occurs most often close to the magnetic poles of Earth. It occurs due to charged particles coming from the Sun of which collide with other molecules found in the Earth's atmosphere. Solar winds from the Sun carry these charged particles and when the wind passes by Earth, particles may be trapped in the atmosphere from the Earth's magnetic fields! 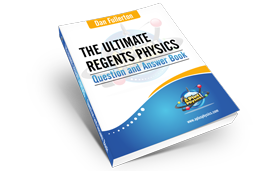 The charged particles ionize molecules in the atmosphere, which give off light. This creates the Aurora Borealis! I had previously thought that the Northern Lights were from light reflecting somehow, but it awesome to see that it is caused by magnetism, which fits into our past few units very nicely. This year, I really pushed myself with new challenges that were difficult, but also very rewarding. 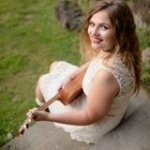 I took on the challenge of a flipped classroom and learned a new way to be a student that will help prepare me for college. While at times it was a struggle to keep up, this course kept helped me prepare for college by forcing me to work on my time management skills. I think that I have a lot more of improvement to do on this, but I have come a long way from the beginning of the year. I think before I go to college, it might be a good idea to review Dr. Chew's videos and brush up on some of the proper learning techniques that he taught. Another new thing that I took on this year was completing blog posts for this class. This activity taught me a lot of new things about how what we are learning in physics applies to the real world and I really appreciate all that I have learned. Going forward, I will have to apply the math and physics of the classroom to the real world, and doing the blog posts gave me a little bit of insight into the connections between the two. Although it may have been a challenge at times to complete the necessary blog post on time, I enjoyed learning new things about the world around me. This year has been a wild ride, and the AP weeks are approaching fast. With the third quarter ending, and soon most AP classes to have not much work to do, I need to take the time to look back on this year. Physics was a struggle, but that made it a lot of fun. I have learned a lot, and have learned new was of how to learn based on the style and difficulty of a class. It was a great choice to make and it has really helped me to learn what is in store for the future at college. Calc didn't catch up to physics until it was toward the end of the second quarter, which made the math fun, but that was a good learning opportunity as well. As the year slowly comes to an end I am happy but sad as this year has been rough, but I couldn't have asked for a better year to end on. Mario Kart was (and still is) the greatest game of all time, and there is a surprising amount of physics involved – not the part about falling off the edge of rainbow road and then magically reappearing back on the track though. Mario Kart uses Newton’s laws. The use of Newton’s first law proves why in order to get moving you have to press a button to accelerate, and when you let your finger off the button, you don’t just automatically stop, you just slow down. Newton’s second law shows how if you use a cart with a greater mass, you need a greater force to get the kart moving with the same acceleration. Mario Kart also uses elastic and inelastic collisions. An elastic collision occurs when two karts run into each other. They both don’t stick together following the collision, but they bounce away from each other. An inelastic collision occurs when two karts collide and the one with the thunder colt transfers to the other kart and now the thunder cloud is stuck to the other kart. While Mario Kart is mostly fictional – with flying blue shells, mystery boxes, and magically coming back to life after falling off into vast darkness – there is still a lot of subtle physics involved. This is an example of how magnets can be used for levitation, or hovering if you will. All this is, is simply the force of the magnet overcoming the force of gravity of the magnet and the liquid. In this way, a "hover board" would be nothing other than a force keeping something off the ground, which is just what a normal force is when you have an object sitting on the floor. However, using magnets for levitation is cool because you cannot see the force acting on the object, and the force can also be transferred through things, putting your hand between something being levitated by a magnet would not stop the magnetic repulsion, which is pretty cool to think about and even cooler to see. The gold foil experiment is the famous experiment conducted by Ernest Rutherford that we all learned about in chemistry class. This experiment proved that atoms are made up of mostly empty space. In fact 99.9999% of an atom was proven in this experiment to be empty space. Lets say we could eliminate all that empty space by condensing the parts of an atom together. How much weight could we fit in a small space such as a single teaspoon? Over a billion tons! This idea is common when studying astronomy. 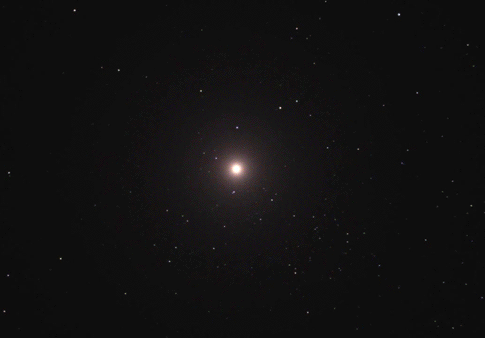 At the end of a stars life, it collapses and explodes in a supernova explosion. The remaining mass that the supernova leaves over is so dense that the star begins to collapse in on itself. As a result of this, electrons fall into the nucleus and smash into protons becoming neutrons; hence the name neutron star. This animation shows a star going through a supernova explosion. The accuracy of this animation is highly questionable but it certainly looks cool. Batman should be dead. Rate 5 stars and I'll tell you why. Okay cool thanks. Just kidding. It's because of his cape! Do you really think batman would be able to survive a leap off of a skyscraper? Let's find out. A group of students from the University of Leicester did an actual experiment using mathematical simulations. They give a wingspan estimate of 15 feet. An average skyscraper is 492 feet high. When an electrical charge is sent through batman's cape in Batman Begins, it turns into a rigid glider. It was calculated that he would travel a total distance of 1,148 feet. That's cool and all, but how would he land? What speed would he reach? The students calculated that he'd reach a top speed of 68 mph, and land at 50 mph. If you think he'll be okay, the students reason that you should "consider impact with a car traveling at these speeds." New movie idea: Batman is the new Flat Stanley. At the end of last quarter, I wrote a blog post about how I needed to change a few things because of the disaster that had come about in all my classes but especially physics. I feel that over the course of the past 10 weeks, I have changed the way that I learn and study. I find that I am more focused to get things done and understand them in a timely manner. I use all of the time given to me efficiently as well. Before this quarter, I found myself wasting class time and not doing the work that I needed to do in order to understand the content. Now that the learning is almost done for most classes and we move into the studying for exams during the last quarter, I need to remember the success that I have had during this quarter and continue it on. I know I can do it. We are now in the final stretch of high school and I am ready for it all. 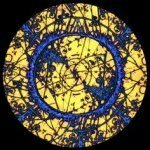 The post Failure is Necessary for Growth appeared first on Physics In Flux. Elon Musk is a god! A partial derivative uses this nice formula. (f)/(x), where f:R^2->R is lim h->0 (f(x+h,y)-f(x,y))/h. Physics is everywhere, waiting, watching. Chris, a student at Cornell, wakes up at 8:59am for his 9:05 class. If the class is 1.5 km away, at what constant velocity does he need to travel in order to make it to class at 9:05? Neglect air resistance. Recently in an MLB game a fan was struck by a foul ball. This person was severely injured from the baseball. My initial question was why didn't this person just move out of the way. Well, easier said than done. An official league baseball has a mass of .145 kg, and the average velocity of a major league fastball is 40.3 m/s. this means that when the ball hits the bat, if the batter perfectly squares up the baseball, the ball can leave the bat at approximately 49 m/s which is equivalent to 110 mph. The individual that was hit by the ball was on the third base side, first row. This means that there was a distance of 50 meters between the batter and the person hit. The time it took for the ball to reach the fan was 0.92 seconds. Would you be able to react that fast? I was scrolling through Instagram and found this hilarious meme of someone's Tinder profile. It reminded me of earlier this week when Mr. Fullerton said that if a girl had the quadratic formula tattooed on her forehead, she wouldn't get a date. I guess nerds don't need love. Anyways, I entitled this blog "Dying" because, first of all, that meme made me die of laughter and, second of all, the first AP Physics C test killed me. With reflection I realized that this year is going to be a lot harder than I even first anticipated. I am not the smartest student on Earth, but I have an ambition and unwavering optimism in everything I do. Seeing that I "failed" a test really killed my spirits, and I am hoping that this class will not be the death of me. But deep down I know I can do it. AND YOU CAN TOO. We've just got to keep up with the work and keep trying. I learned that if I get slapped in the face by physics problems, I need to slap them back twice as hard. Dr. Chew was very helpful in giving me strategies for studying. I have turned in my questions to the videos on a separate sheet of paper in class. I am a student at IHS. As I dive into my senior year I hope to discover new opportunities and interests. I play baseball in the spring and summer. During my free time I like to watch sports or read; however, one of my greatest interests has always been science. I am taking AP physics C this year to further my understanding of the universe. I always knew I liked science, but taking AP physics 1 last year helped me find out that I have a specific passion for physics. In the future I would like to continue my interest in physics by taking it in college and having a career in the engineering field. This year in physics I would like to become more skillful in becoming self taught. This will give me opportunities to become a more innovative person. This year I am most excited about the independence that comes with being a senior. I am anxious for my college research process to come to an end so I can finally apply to the schools and decide where I want to go. Better to Run or stay out in the cold? Hey Mr. Fullerton and anyone whos reading this, its been a pleasure grinding this year. Hope you enjoy this great video and maybe even chuckle a bit. Team Members Present: Jason Stack, Marcus Nicholas and Michael Kennedy were all present for this launch. Play-by-Play: Initially the rocket was created using the parts listed in the pre-flight briefing. The rocket was launched from Kerbin and angled in order to successfully travel outside of Kerbin's atmosphere. The rocket was then directed into orbit around Kerbin. Kerbin was orbited a few times. The rocket was then returned back to Kerbin by using a maneuver that brought the rocket back into Kerbin's atmosphere. The bottom engines were released, then the second engines, leaving only the pod left. The pod descended to 1,000 meters above Kerbin and then the parachute was deployed. The pod landed safely on Kerbin. Summary: Our flight was a great success. We planned to accomplish all initial milestones, including a successful manned orbit and a successful Kerbal EVA. All of these desired milestones were accomplished. Our spaceship and Kerbal manning the ship returned safely to Kerbin after successfully reaching orbit around Kerbin. By reaching a manned orbit around Kerbin, all the initial milestones were accomplished by this launch. Opportunities / Learnings: Establishing what the launch goals are and designing the rocket accordingly is very important. Failure to do so will result in an inability to accomplish any milestones. Strategies / Project Timeline: After this accomplishment, our next goal is to reach orbit around the moon and land on the moon. This week I focused on chapter 5 in Mechanics. This included momentum and impulse, conservation of linear momentum and center of mass. Areas that went well for me were momentum and impulse and conservation of linear momentum. What helped me to really understand these two topics were first understand the graphs that went along with them. This included Force vs. Time graphs showing the impulse to be the area under it. These graphs gave me a better understanding of what I was solving for when I got to problems. Center of mass was the topic I had the most difficulty with. However plotting the points on a graph helped me with this as well. The equation Xcm= (m1x1+m2x2).../m1+m2... really helped me understand finding the center of mass of different points. Finding it for other objects such as rods however was still quite challenging. My major key to success this week was working more with graphs. Once I understood graphs whether it be just plotting point or graphs such as Force vs. Time, they all helped me get a better understanding of the topic I was working on. Not many people put a whole lot of thought into what their morning cereal is made of. Most people would just assume there's some grain and maybe a little sugar, or a lot of sugar if you're more of a Lucky Charms person than a Raisin Bran person. Nobody would suspect, though, that there would be metal in their Cheerios. Turns out, Cheerios are magnetic. Or are they? If you were to try this with objects other than cereal, say a small piece of paper or plastic, it would still seem to be attracted to the magnet as it floated in the water. The "attraction" you see is actually all about water, which is diamagnetic, meaning it generates a magnetic field opposite to that of the magnetic field it is in the presence of. Thus, the water is slightly repelled by the magnet. This causes a slight divot in the water, that the object in the bowl actually falls into, making it appear to follow the magnet. In actuality, it isn't being affected directly by the magnetic field, but by the waters reaction to the magnetic field.